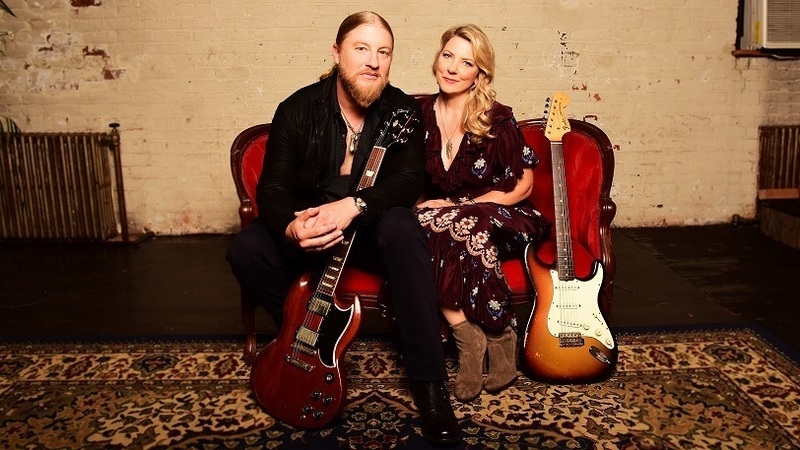 Tedeschi Trucks Band Transform Grief Into Impassioned Musical 'Signs' Veteran blues-rock powerhouses Susan Tedeschi and Derek Trucks return with an impassioned new album, informed by the deaths of several mentors and family members. Tedeschi Trucks Band's Signs is out Feb. 15 on FanTasy. Tedeschi, who came out of the Boston music scene, was raised on the blues records in her father's collection (artists like Lightnin' Hopkins and Mississippi John Hurt) and picked up inspiration from Bonnie Raitt, Buddy Guy, Etta James, Aretha Franklin and others. Trucks, who formed his own band in 1994 — and whose uncle, drummer Butch Trucks, was a founding member of The Allman Brothers — joined the Allmans five years later. Signs, Tedeschi Trucks Band's new album, is the follow-up to 2016's Let Me Get By. The new set was recorded live to two-inch analog tape at the married couple's home studio — Swamp Raga — in Jacksonville, Florida. Co-produced by Trucks, Jim Scott and Swamp Raga engineer Bobby Tis, the album features guest contributions from guitarists Warren Haynes, Oliver Wood and Doyle Bramhall II, as well as percussionist Marc Quiñones. You can hear the byproducts of a live-to-analog-tape recording throughout Signs. There's such warmth to the playing, you can picture the band members standing in the studio — playing together and off of each other, blending rock and blues and soul, accompanied by Trucks' impassioned guitar work and Tedeschi's soulful vocals. 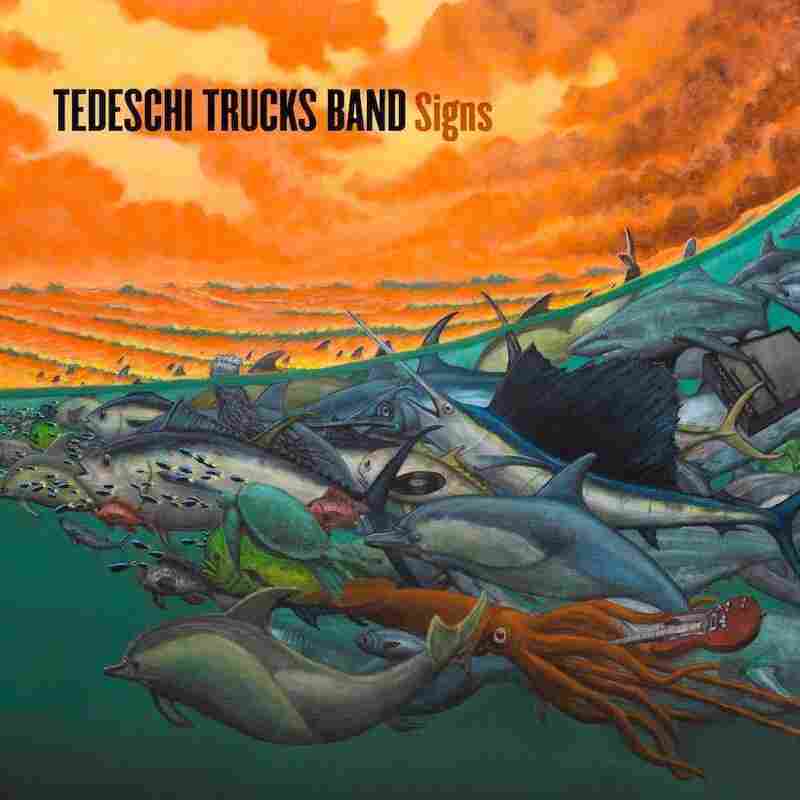 Tedeschi Trucks Band's Signs is due out Feb. 15 on FanTasy. During the writing and recording of Signs, the group went through several tragedies: the death of mentors like Leon Russell and Col. Bruce Hampton, as well as Trucks' uncle Butch, who died in January 2017. It's apparent how those losses have affected Trucks' own musical sensibility, and the making of Signs. "How their passing affected me," Trucks said recently during a phone conversation from his home in Jacksonville, "was that there was the wanting to do it right and wanting to carry on whatever parts I learned from them that I could carry on. The music they made was of a special time and place. I'm never going to recapture that stuff, but I've certainly been able to take the lessons I learned from them. "Every time that Butch got on stage, he just aired it out and he gave it everything he had in his being, no matter how he was feeling or what mood he was in when he hit the stage. That was what was sacred to him," Trucks says. "With Gregg, he just had the mojo dripping off of him. Some of it was learned with his brother Duane [Allman], but some of it was just, he was born with a thing. There was an honesty and authenticity to what they did as musicians. You always want to make sure that you tap into that, and you want to avoid anything that kind of taints the well." Starting off with the funky rock of "Signs (High Times)," the album also includes "I'm Gonna Be There," a love song that simmers slowly and finds its tension in Tedeschi's incredible vocal performance, the rich vocal harmonies, a smoldering string arrangement and Trucks' ripping guitar solo. While a sense of loss and frustration permeates the album, a feeling of optimism remains. Song titles like "Strengthen What Remains," "Still Your Mind" and the beautiful "All The World" reflect the album's pensive lyrics. Other highlights include "Shame," a tour de force musical workout with changing tempos, a dramatic horn arrangement and Trucks' mercurial guitar playing, as well as the "Proud Mary"-flavored "They Don't Shine." The final song in this chapter of the Tedeschi Trucks Band's story is an intimate solo acoustic and slide-guitar song, sung by Tedeschi, called "The Ending." It's emblematic of the band's ability to say as much with a little as they can with a full 12-piece band pulling out the stops.